Craft Products, Knitting and Crochet Patterns, and Other Craft Ideas. Hello! My name is Emily, and I've created this site just for you! Whether you are looking for crafts to accentuate your home, buy neat accessories, find some cool patterns to create yourself, or you're just getting started and want to learn how, here is where you'll find it! Hey! This site is especially for you if you are left handed! Although there is a page for how to crochet, it's all in right-handed instructions. I'm left handed! 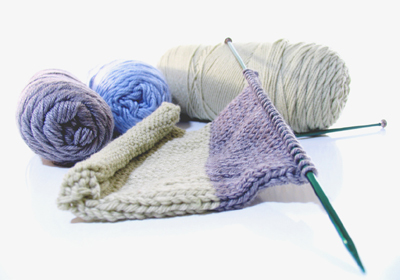 Just click on the Left Handed Instructions for Crocheters in the navigation bar to learn how to knit easily being left handed! This is me. I've been sewing since I was about 8 years old, crocheting since I was 12, and just in the past two years I've learned how to knit. I attend a Southern Baptist Church in the Midwest, where I've been a Sunday School teacher, AWANA Cubbie leader, and a Nursery worker for years. God is so awesome and great! Here in the next year I will be starting school to become a nurse, and my eventual goal is to become a neonatologist. I really hope this site is helpful to you, and that I can assist you in whatever you need. Make sure and check out the cool products that I've hand made!